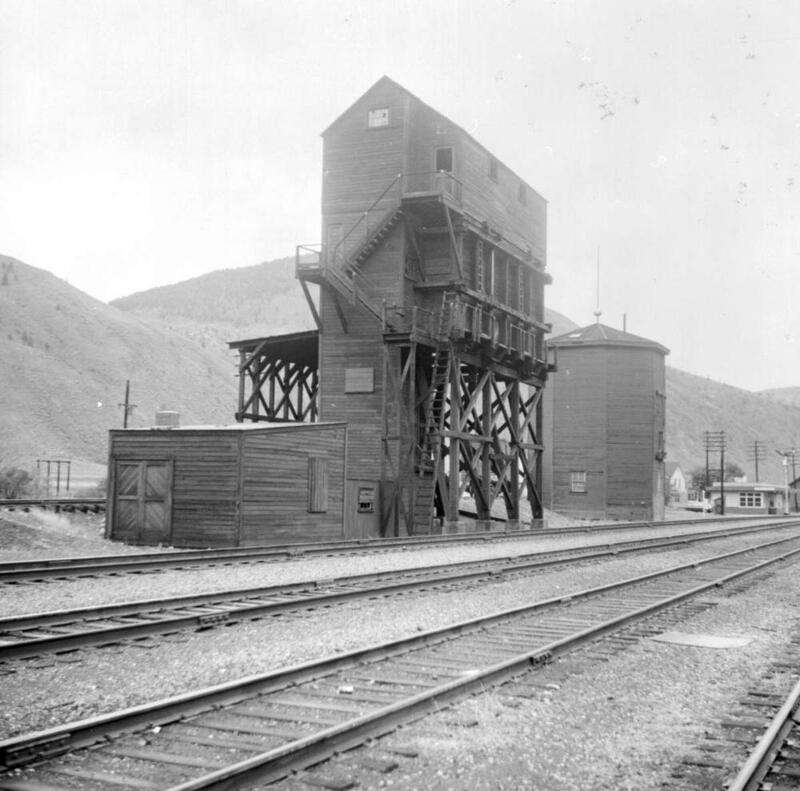 ItemG-03754 - Coal Bunker; Enclosed Water Tank Shows Behind; Spences Bridge. Item G-03754 - Coal Bunker; Enclosed Water Tank Shows Behind; Spences Bridge. Coal Bunker; Enclosed Water Tank Shows Behind; Spences Bridge.